In this lesson, we will learn how to write ratios and fractions as percents and vice versa and how to solve word problems involving percents. 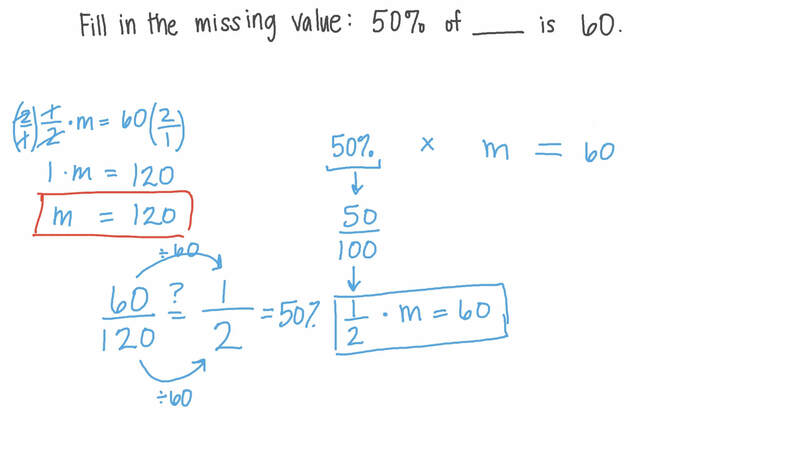 Fill in the missing value: 5 0 % of is 60. On a train, 32 out of 50 seats are occupied. 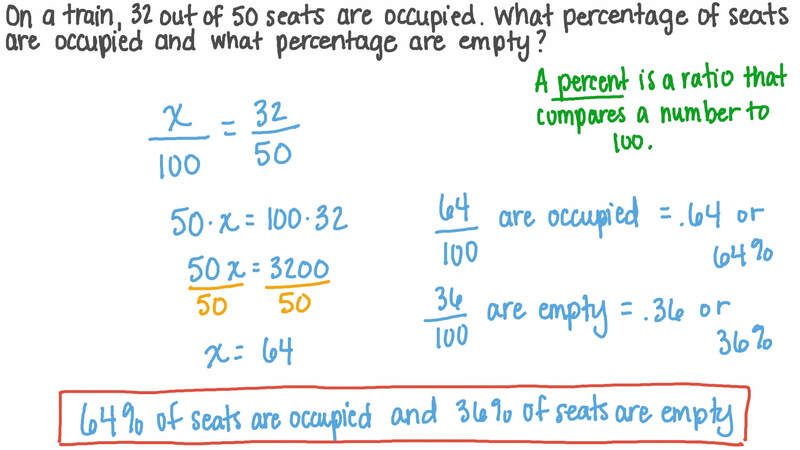 What percentage of seats are occupied and what percentage are empty? There are 1 000 students in a school, of whom 292 are in the first grade and 228 are in the second grade. The rest of the students are in higher grades. 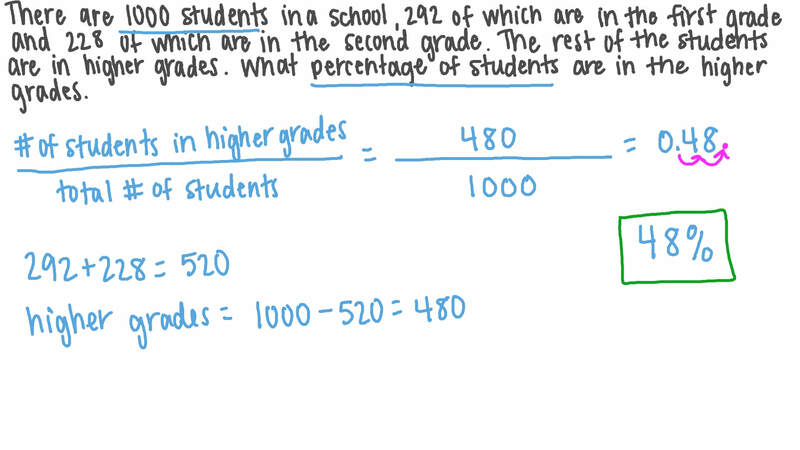 What percentage of students are in higher grades? Ramy and Adel took an exam. Ramy got 1 0 % of the questions correct, and Adel scored 79 out of 100. Who got the higher mark and how many more marks did they receive? Complete the definition: A percentage is a ratio . Express the following ratio as a percent: 4 5 1 4 out of 100 forks. Fill in the missing value: 1 3 4 0 = % . Fill in the missing value: 1 − 1 4 = % . In an English exam, Fady scored 9 out of 20. What percentage of the exam did Fady get right? Fill in the missing value: 5 1 6 × 1 6 5 = % . What is 9 0 % + 3 % + 1 2 0 ? Last month, Fares’s total expenses were $1 994 and this included $720 spent on rent, Express the amount he spent on rent as a percentage of his total expenses. Round your answer to one decimal place. Fill in the missing value: 8 5 % of is 510.